You can have it all! 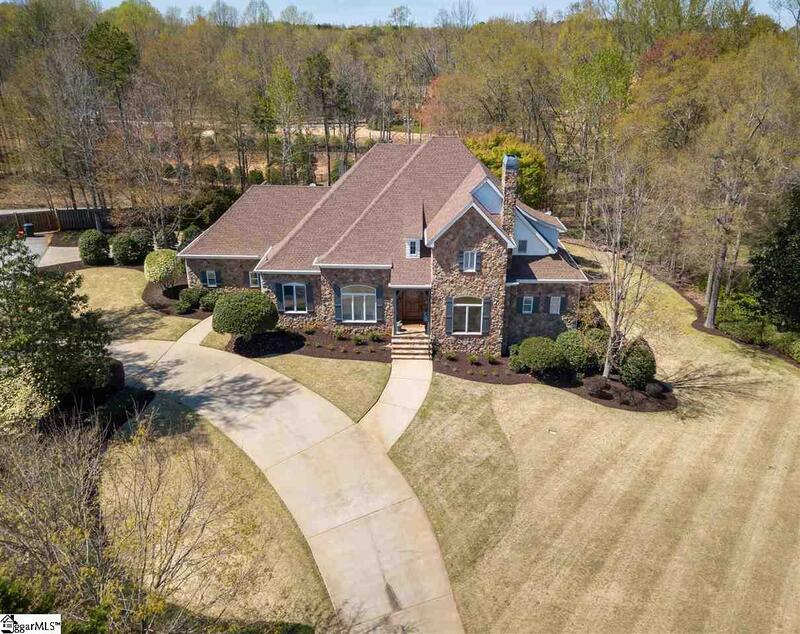 Amazing value for this impressive custom built home with so many modern conveniences in the desirable Kingsbridge subdivision just minutes from Five Forks shopping and dining. 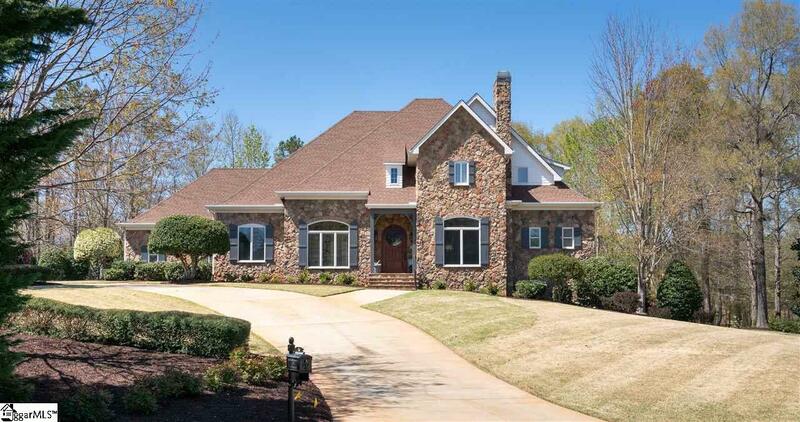 This very special home is situated on approximately 1.3 acres on a cul-de-sac. 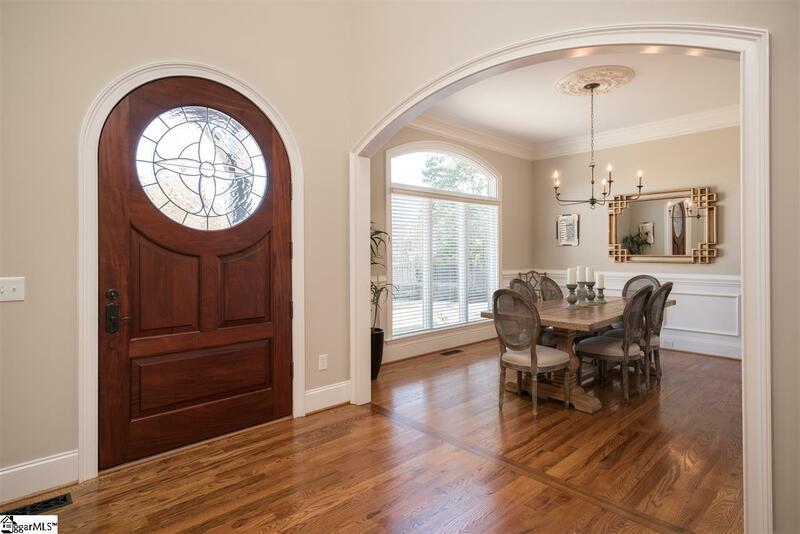 With tall ceilings, site finished hardwood flooring throughout the main and upper levels, this home is a show-stopper. Recently painted interior with a fabulous floor plan, you will love. Enjoy your formal dining room, your separate office with fireplace and built-in shelving and your spacious living room with fireplace which is open to the eat in kitchen. This kitchen is a chefs dream with plenty of gorgeous cabinetry, granite countertops and beautiful high-end appliances. The luxurious master on the main level offers a retreat you are sure to enjoy complete with recently installed custom closet organizer. This flexible floor plan offers four spacious bedrooms upstairs two with en suite bathrooms and the other two share a jack and jill bathroom. The terrace level of this home is incredibly versatile and offers unique living space with a bonus room, spectacular movie theater, additional flex space, bedroom and full bath, kitchenette AND an additional garage that is heated and cooled and an exercise room. What more could you ask for? If you love to entertain and enjoy the great outdoors, the landscaping will surely impress. 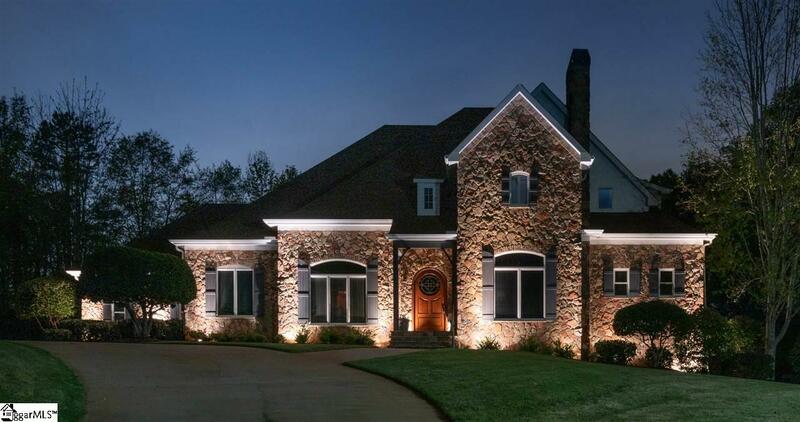 With gorgeous and recently updated exterior landscaping, you will notice landscape lighting, a beautiful stone patio with outdoor fireplace and a spacious rear yard perfect for play or privacy. Schedule your appointment today to view this beautiful property.